made and it does not interfere with any moving parts. Control Module Cable and discard. 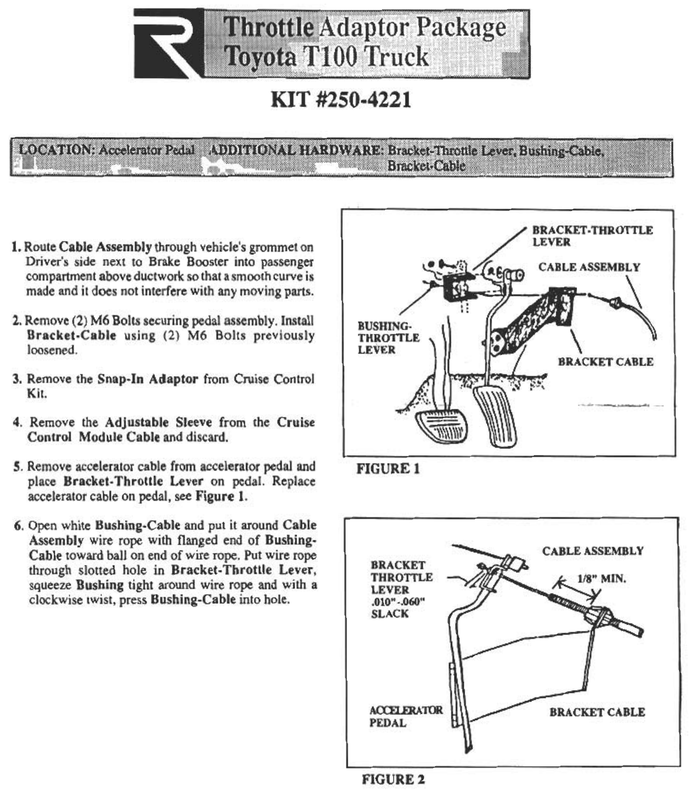 accelerator cable on pedal, see Figure I.
clockwise twist, press Bushing-Cable into hole.